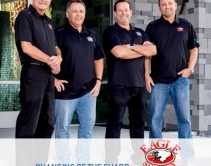 By Julie Jacobson · November 30, 2018 • Greg Simmons and partner have sold their Las Vegas security and home-automation firm Eagle Sentry to long-time sales manager Cory Reif and top client Mark Lindsey, who already built "the greatest showroom on earth." By Jason Knott · December 5, 2014 • Eagle Sentry replicated its showroom for Pittsburgh Penguins defenseman Kris Letang 2,500 miles away in Canada. By Jason Knott · November 14, 2014 • Why integrators should work closely with middle market homeowners to help them choose their smart home technology. By Jason Knott · November 10, 2014 • Parks Associates reveals most appealing smart home devices, including motion sensors, security cameras and panic buttons. By Jason Knott · November 7, 2014 • Recurring revenue and home automation awareness are among the reasons why you should consider selling smart home security products to middle-income clients. By Jason Knott · November 5, 2014 • The middle-income market niche is expected to grow 27% per year and there is a growing awareness of home automation among this group. By Jason Knott · November 1, 2010 • Instead of selling alarm accounts, Eagle Sentry now keeps them, boosting recurring revenue per account from $8 to $30/month. By Julie Jacobson · December 7, 2009 • Las Vegas-based integrator works with Realtors and builders to finish homes that may be prewired or partially equipped with home technology.